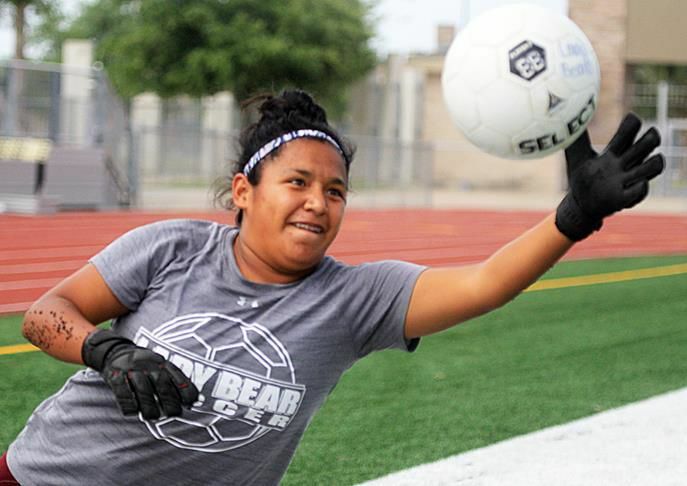 PSJA High's Brianna Baez is seen during practice Wednesday at PSJA Stadium in Pharr. PHARR — After a 12-0 loss in their first scrimmage of the season, the PSJA High Bears were determined to not let another year end like the last nine — outside of the playoff picture. Fast forward almost four months, and the Bears are still practicing for a bi-district matchup against District 32-6A champion Los Fresnos. For the rest of the story, visit RGVSports.com.